BIOplastics Gradient filtertips provide a superior protection against aerosols that could contaminate your pipette, cross-contaminate your sample, and contaminate your valuable reaction set up. The protection that is given by the 18 µm gradient Self Sealing pores is optimal and enables precise and reproducible pipetting. In general, the use of SSNC (Self Sealing Non-Collapsing) filtertips protects against cross-contamination. Read more about this topic on page 91 "The essence of filter material". 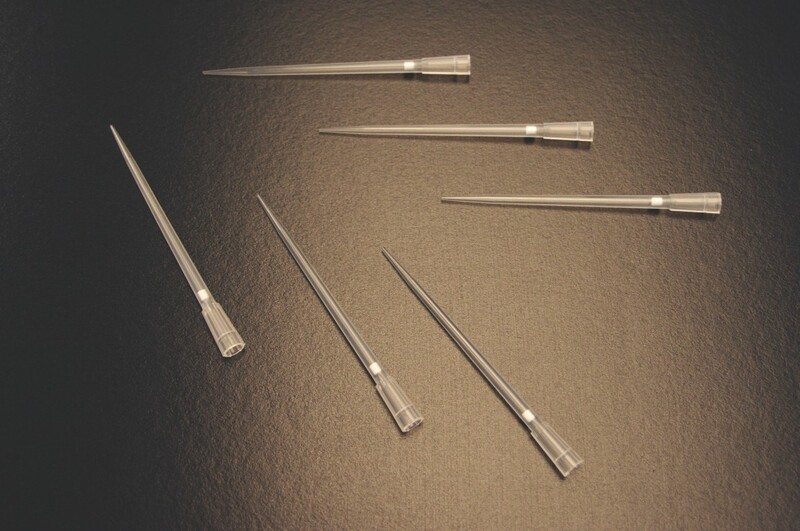 We would like to assist you in making the right choice of tip or filter tip for your pipette. Use the Tip Selector Chart in this catalog, or the dynamic on-line Tip Database at our website www.bioplastics.com to find exactly the right tip for your application. Find tips in this catalog: use the tip selector charts. From the Pipette Tip Selector Chart 1 (pages 86 to 89), choose the brand of pipette (e.g. 1 channel Gilson P200 20 - 200 µl). You will find the type of tips you need (e.g. type B & D). Some tips are so similar in shape that they will fit the same brands/volume of pipette, but differ in length or other specifications. From the Pipette Tip Family Chart 2 (page 90), look up this type (e.g. type A) and choose which other specifications you need (e.g. SSNC filtertip). You will find the basic order number and the catalog page of this tip (e.g. B95501 on page 92). Just browse through the catalog. Every tip itself has specific information about its family/type, the pipettes it will fit, packaging configurations, and other features. If you already know the order number of the item you need, look up the corresponding page in the index in the back of this catalog (page 164). Attached to the back cover of this catalogue is a fold-out legend of icon symbols. Almost every item in this catalog has one or more icons that describe specific features like filter pore size, evaporation grade, orifice etc. The online tip database at the BIOplastics website is a very convenient tool to find the right tip for your pipette and/or application. 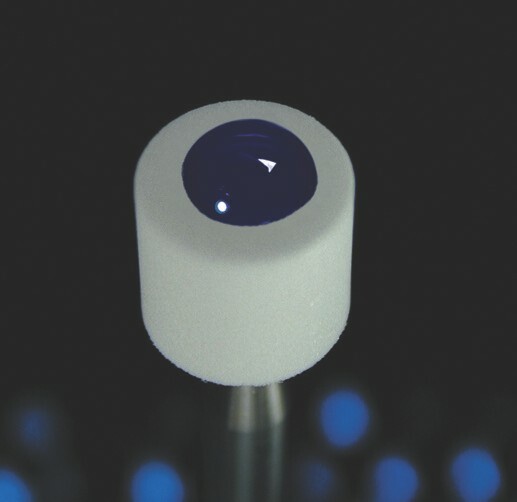 Just select the volume range and the brand of pipette desired, and receive search results within seconds. 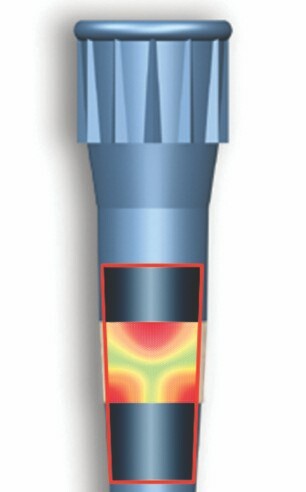 Results are presented with all the relevant properties of that tip, a schematic drawing, and the different packaging options. Filtertips are generally accepted as the solution in the prevention of cross-contamination in PCR reactions. A main source of this contamination is the formation of aerosols in the shaft of the pipette used during the PCR liquid handling. Carry-over of previously pipetted DNA, RNA and proteins can cause false positive signals. 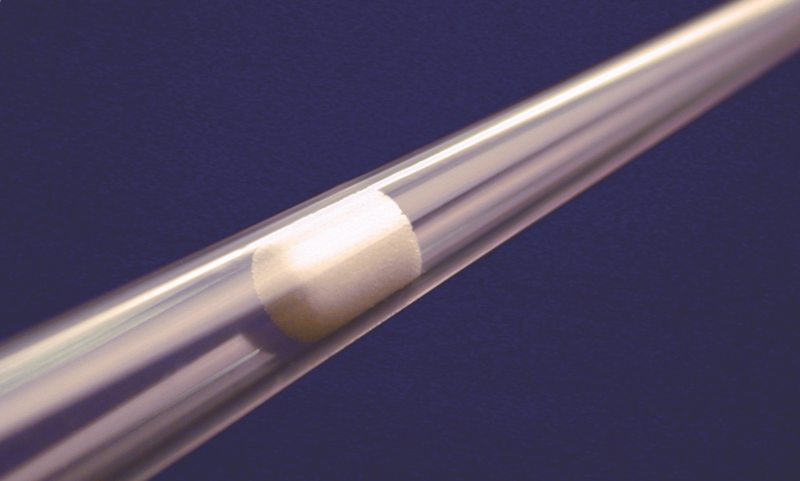 The use of a filter in a filter tip eliminates the formation of aerosols in the shaft of the pipette, because it blocks the air-to-liquid interface between the sample and the shaft. This simple idea has evolved in numerous types and brands of filtertips and filter materials. Most filters are made of inert 3-dimensional cross-linked PE (Polyethylene). The most important parameter for a filter tip is the pore size and the ratio of filter length and pore size of the applied filter material. The pore size must be smaller than 25 µm to protect against aerosols at all. If the pore size is between 20 and 25 µm, a filter will give reasonable protection, however liquid will pass when overloaded. Below 20 µm, a filter will give superior protection. When pore sizes get below 14 µm, it becomes too difficult to pipet liquids in a reproducible manner, because of the airflow barrier. Therefore, it makes no sense to use filters with this small pore size. The costs and investments to manufacture a filter material with an average pore size of 18 µm are high. 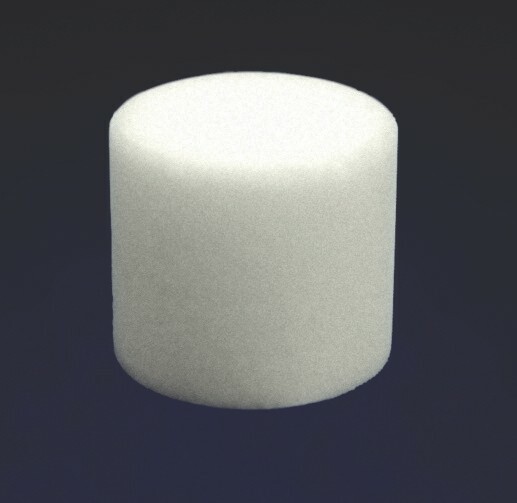 BIOplastics’ Self Sealing Non Collapsing (SSNC) filter tip meets this 18 µm pore size specification and is built up with a density gradient from top to bottom. It is the perfect balance between superior protection and accurate pipetting. The filtering capacity of a certain filter is defined as the ratio of filter length and pore size. The longer a filter is, the better it filters. This relation is almost linear. BIOplastics filters have the longest length available in the market when compared to other brands. By applying a gradient within the filter (see picture 3-dimensional GRADIENT filter) the aerosols air flow length is even extended and aerosol particles are additionally forced to a non linear track. When these three factors are combined, the result is a superior filter tip. BIOplastics BV has designed multi purpose racks in which tips are packed. Tips are made of medical grade extreme clear and soft PP with no molecule binding properties. The soft tips ensure superior pipetting, easy pipette seating and releasing, thus reducing RSI. Each rack consists of a colored bottom part, a transparent hinged lid and a multi-purpose interchangeable tip insert. The empty box can be used for storage. The multi-purpose interchangeable tip insert can hold PCR plates and strips. Additional tube grids are available which enable you to make your own 0.5 ml / 1.5 ml microcentrifuge tube storage / freezer rack. Whenever you buy racked tips you end up with not only an excellent tip, but also a good start for an even more organized lab!